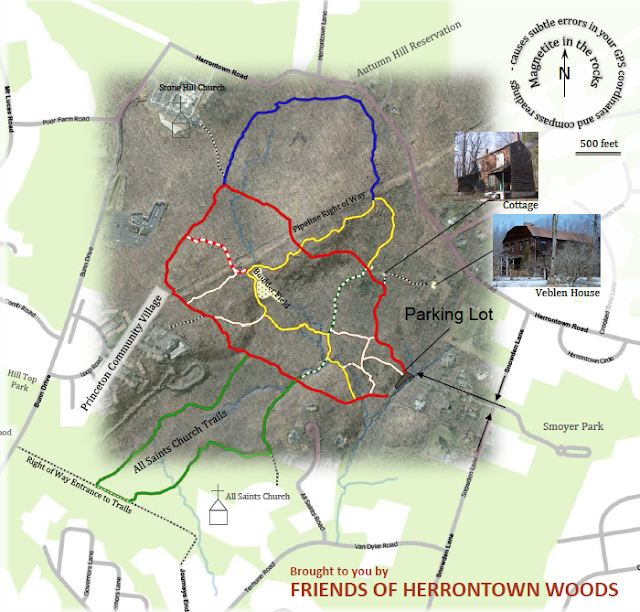 Thanks to Sophie Glovier, whose letter in the Mailbox of Town Topics mentions the efforts of our Friends of Herrontown Woods to reclaim, mark and maintain public trails through 200 acres of open space in Herrontown Woods and adjoining Autumn Hill Reservation. These two Princeton nature preserves had become largely abandoned after storms and invasive shrubs blocked trails. Our group of volunteers has experienced the exhilaration and the sweat of reopening trails through this marvelous, boulder-strewn landscape, most of which was donated in 1957 by Oswald and Elizabeth Veblen. Leading the trail reclamation work has been Kurt Tazelaar, who views the preserve as his gymnasium, a place to get a workout while improving trails and shifting the ecological balance from invasive shrubs to natives. Though town and county staff maintain parking lots, all of Princeton's nature trails remain accessible only through the largely volunteer work of nonprofits. Elsewhere in Princeton, Friends of Princeton Open Space has for decades maintained trails in and around Mountain Lakes, and the DR Greenway also does some maintenance of local greenspace. Sophie Glovier has been involved with both of those organizations over the years, and her research of local trails turned into the popular book, Walk the Trails In and Around Princeton. There's also an informal Friends group keeping Gulick Park's trails clear. For those wishing to get out and about after comparative winter confinement, many of Princeton's trails are a bit muddy this time of year, though as you can see in the photo, along the Princeton ridge, there's lots of opportunities for rock-hopping. Updated 9/2016: If you've stopped by Herrontown Woods over the past year, you've probably seen this beautiful pamphlet with a detailed map of all the trails. It was created by Friends of Herrontown Woods board member, Jon Johnson. We periodically add more at the kiosk in the parking lot off of Snowden Lane. The map portion of the pamphlet is below. You can view and get a printable copy of the full brochure at this link. His marksmanship and interest in mathematics echo similar qualities in Oswald Veblen. 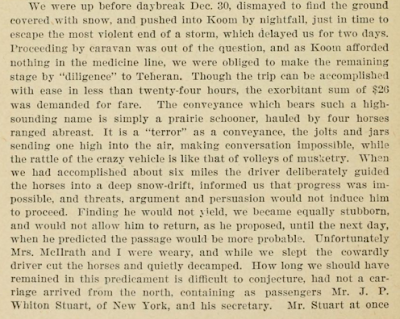 And Veblen showed a similar outdoor adventurous streak--George Dyson mentions Veblen having traveled down the Iowa and Mississippi Rivers a la Huckleberry Finn. These three qualities shared by Whiton-Stuart and Veblen lead naturally to speculation that Whiton-Stuart's arrival in Princeton in the 1930s, to settle next to Veblen's land and cottage, was not mere coincidence. And Whiton-Stuart's pigeon shooting--not sure if they were real or clay back then--offers a chance to explore the transition from guns to binoculars for birding. 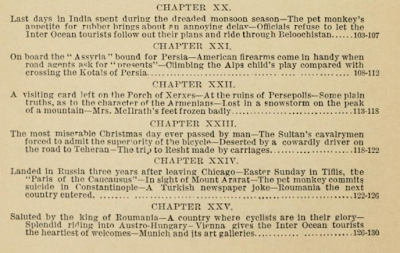 What was it like for Whiton-Stuart in his early 20s to be crossing over-land through Persia? 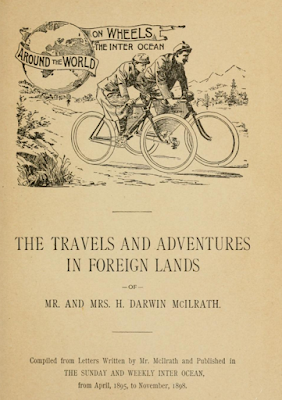 The first clue comes in an 1898 book, "Around the World on Wheels", about riding a bicycle around the world. 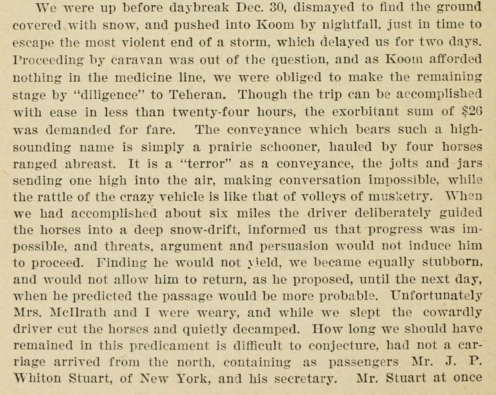 It popped up on a google search, due to Whiton-Stuart making a brief appearance as a good Samaritan in Chapter 23, on page 120. 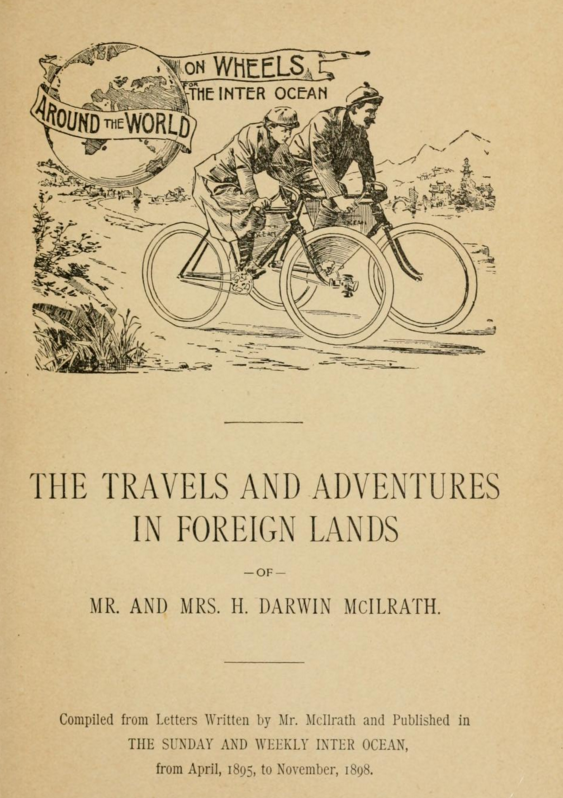 The title echoes Jules Verne's "Around the World in 80 Days", which was published twenty five years prior in what Wikipedia's account describes as the dawn of global tourism. 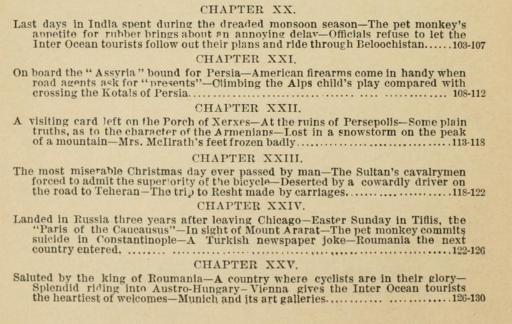 To get a flavor of the book, which is beautifully rendered online in highly readable form, a portion of the table of contents, and the passage mentioning our itinerant Whiton-Stuart, are shown below. Click on the documents to enlarge them for reading. The book looks like a fun read.